There’s a lot of advice out there about how to plan your book marketing and get reviews. Was there any particular approach or plan you were trying to follow? I listen to a lot of podcasts for advice. My favorite is Mark Dawson’s Self Publishing Formula – he’s very straightforward with the dos and don’ts of self-publishing, and I follow a lot of his advice. However, a lot of his advice is for authors that may already have a book or two out, so I needed to adjust his advice to fit my personal self-publishing timeline and budget. What timing did you end up following in terms of when to have the ARCs (Advanced Reading Copies) ready, make announcements, when to contact reviewers, when to start pre-sales, and when to release? The whole ARC process has more steps than you would expect. First I put together a list of possible ARC contacts. I had to make sure they read within my genre, and were accepting ARCs at the time. I started that about three months before launch. Then I contacted all of them, and of course many of them would say it wasn’t their cup of tea, or they were no longer accepting, or they just wouldn’t respond at all. That’s all very normal. Then, the ones that did say yes, I would send an ebook file of Bubblegum, or arrange for a physical copy to be sent. That all happened within the course of the next few weeks. It’s hard to gauge when the reviews would then come along. People all read at different speeds, and many of these reviewers had large piles of books to read already. So some of the ARC reviews would come right away, or weeks/months after. Even now after release I’m still receiving some late ARC reviews. I have a personal policy that I never give a strict time-frame for reviews. I tell reviewers that I would LOVE reviews before the release date, but that after the release is great as well. I know several of my ARC readers would not have had their reviews ready by Bubblegum’s release, and I’m just now getting their reviews. That’s perfectly fine! A late review is better than no review at all, and I am very happy to have them. Did you have an unproofread ARC available before the final version for publication? It was proofread and had been looked over by my editor by the time Bubblegum went out to ARC reviewers. It still went through some editing afterwards, so it’s always important to tell your readers it is not a final copy. Did you do paperback ARCs as well? If so, is that a special print run and how do you arrange delivery? I did send out paperback ARCs, though not nearly as many as ebook ARCs. Looking back, I think I sent out too many of these, as it did take a toll on my budget. It’s important to factor in shipping costs when you’re thinking of doing these, especially for international readers. I used Amazon Createspace, and was able to have the copies sent as proofs. How did you make your approach to a reviewer? What do you write in your query? This was done on a case-by-case basis. Most reviewers have submission guidelines. MAKE SURE YOU READ THESE. It is of the utmost importance, as some will toss out your submission without even reading it if you don’t follow their guidelines. After that, you’ve just got to pitch your book according to their ‘mold’, so to speak. It felt very similar to writing queries to agents. How did you choose reviewers to target? Bubblegum can be put into a lot of different categories, which made it easier to find reviewers. It’s a bit of sci-fi, thriller, some consider it YA while others place it into the NA pile, and it contains a strong female lead and LGBT characters. So that made it easier to find reviewers that fit at least one of these interests. I would often dive into whatever part of the book they would be most interested in, and talk about that more in the query. 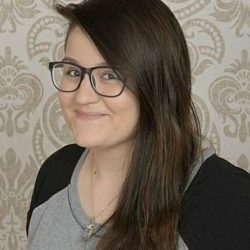 So for a LGBT book reviewer, I would talk about Julia, my lesbian computer genius character, or Ruby, my transgender demolitions expert. But for a thriller reviewer who isn’t as interested in its LGBT aspects, I can talk about the action scenes, the fight scenes, or the fact that my main character is a killer for hire in a dystopian world. Any last thoughts or advice about the process? Self-publishing was founded on the idea that writers should be able to make their own decisions in the publishing process. This can be a double-edged sword. It is easy to apply one person’s advice and think it will be a cure-all for all your publishing problems. Unfortunately it does not work that way. You have to make the publishing path that works for you – based on your time, budget, the book(s) you are publishing and the audience you are seeking. So I encourage you, read/listen to all the publishing advice you need, but take it all with a grain of salt. Remember that your publishing journey may not be the same as someone else’s. Take the advice that works, and if something isn’t working for you, move on and try something else. Self-publishing is a big world, and there are infinite paths you can take. Figure out the one that works best for you and your book(s), and keep on going! Thanks so much, Sari. It’s great to hear about your experience and insights. More and more good reviews of Bubblegum are showing up on Amazon and Goodreads, so I think it’s working. 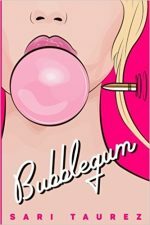 If anyone wants to know what the fuss is about, Bubblegum is available for just $0.99 at the Kindle Store until November 30. Tiana is your typical pampered young blonde with a love for expensive shoes, hot guys, and murder. After Tiana is cut off from her family’s riches, she takes advantage of her talents and becomes a killer for hire. It’s a lucrative business in her country, where a call to the police can amount to a lifetime of debt. Her first client: Julia, a lower-class IT genius, lesbian, and devout Catholic. When the orphanage Julia volunteers at is targeted by the infamous brothel-owner Bobby Nails, Tiana is excited to take the job. But when she discovers Bobby Nails has a full army of mercenaries at his disposal, Tiana wonders if she may be in over her head. Tiana and Julia face an unexpected adventure as they seek vengeance against the elusive Nails. Along the way they are joined by Ruby, a pyromaniac ex-prostitute who catches Julia’s eye, and William, a mysterious acrobatic fugitive searching for his daughter. In the end, will they be enough to stop Nails and the chaos he has created? Sari Taurez lives in Arizona with her wife, daughter, cat and two dogs. In her free time she crochets, paints, collects Star Trek action figures, and plays video games. A film school graduate, Sari strives to make every novel feel like an action movie. Bubblegum is Sari’s debut novel.